A fantastic addition to any room, this beautiful pendant features a classic design with metalwork finished in oil rubbed bronze and a stylish light amber glass shade. 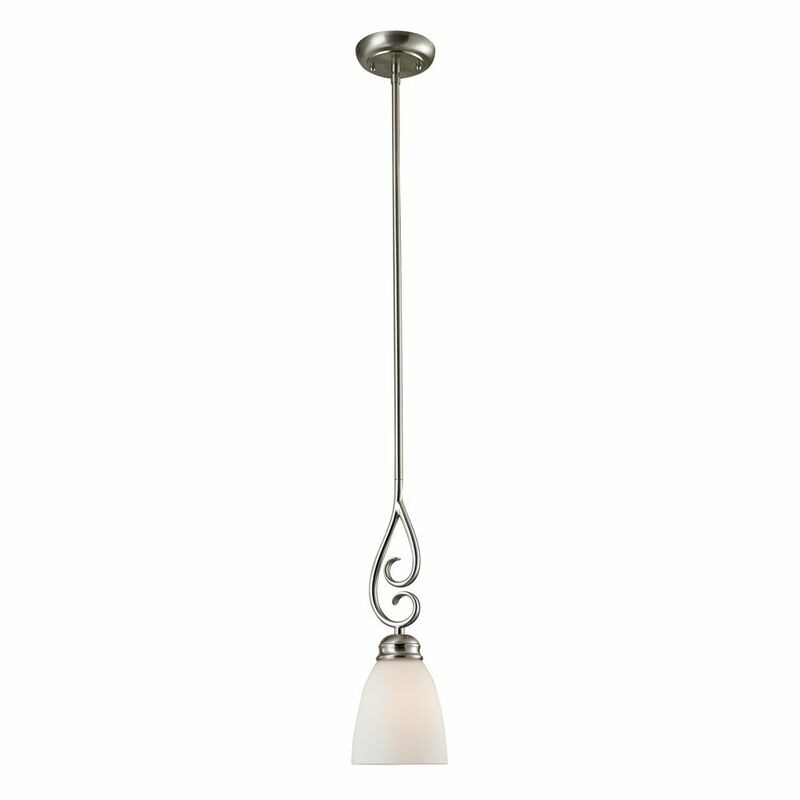 The Commercial Electric 1-Light 60W Brushed Nickel Chandelier with Matte White Glass Shade will add syle and elegance to any room. The brushed nickel finish easily blends with any home decor. Perfect in kitchens, over counters or islands, but dont rule out bathrooms and entryways. An energy efficient mini pendant that will put the finishing touches on any kitchen. Finished in brushed nickel to easily coordinate with many of today's kitchen dcor. The heavy frosted glass evenly distributes the light output of this 13 watt mini pendant. Classically modern. Odeon's design reflects the Art Deco style and its geometric origins. The chandeliers in this collection feature the ability to be installed with arms in the up or down position. Flush drums and other fixtures utilize unseen mounting hardware for a clean appearance. This complete product grouping offers a fixture for nearly every application. 1 Light Mini Pendant In Brushed Nickel With Led Option A fantastic addition to any room, this beautiful pendant features a classic design with metalwork finished in oil rubbed bronze and a stylish light amber glass shade.